Jeff was born and raised in Ogden, Utah. He attended Weber State College as a Communications Major prior to serving his country in the Navy as a CTT (Cryptologic Technician, Technical) where he performed a wide range of tasks in support of national intelligence gathering. After serving his country, he worked 23 years at Lockheed Martin, (formerly Lockheed Missiles & Space). The first 10 of those years were spent in Silicon Valley where he attended school at San Jose State University working towards a degree in Computer Science with minors in Business and Marketing. During his career at Lockheed he performed a wide range of duties functioning as a Software Test Engineer, Software Programmer, Integration Engineer and Senior Advanced Systems Engineer. In 2003 his interest shifted away from Government contracts and landed him within the commercial business sector. 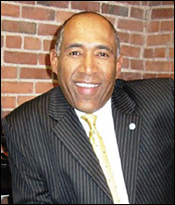 He was instrumental in launching a number of business enterprises prior to taking a position at AT&T where he worked as an Advertising Account Executive. It was during his career at AT&T where he discovered that business owners did not have the time, desire, resources, or experience required to effectively operate and manage their online marketing efforts. Armed with this new knowledge, he launched his own company to more effectively meet the needs of business owners looking to grow their companies using online marketing strategies. He has been instrumental in helping hundreds of businesses experience continued growth by mapping customized digital marketing solutions to client’s strategic business objectives and identifying and managing KPI’s (key performance indicators) to maximize returns on advertising and marketing investments. His unique business model makes it possible for business owners to obtain affordable access to fortune 500 digital marketing expertise on a month to month basis with no long-term contracts or obligations. Jeff currently resides in Colorado and is and avid outdoor enthusiast. He lives life based upon spiritual principles that are the core of who he is as a human being – that all people should be treated with love and respect regardless of their station in life. He enjoys life to the fullest. He recently married the love of his life, Jennifer, who runs her own business as a naturopathic doctor. They have a single child, Lucciano, who is the joy of their lives. When he is not spending time with his family, you’ll most likely find him on the golf course engaged in healthy competition with friends or work associates grinding over a 7-foot putt to win 50. He currently sports a "Scratch" handicap. He also enjoys skiing, long walks with his wife and spending time with his son.